How often do you struggle detangling your hair due to static and frizz? Your hair looks unruly after the blow-drying routine and tends to get frizzy because of humidity? Time has come for smoothing cosmetics, or the best anti-frizz hair products. There are numerous ways to hold back hair frizz. You can get a blow dryer with an ionic and cool air flow function for non-stop sealed hair cuticles and smooth strands. Also, always blow dry following the direction of growth, directing the air flow downwards. In this way, you prevent hair cuticles from raising. HOW TO CARE FOR HAIR SO THAT IT ISN’T FRIZZY? Obviously, your hair care routine affects the way your hair looks. If it’s extremely dry and damaged, unfortunately, it is also coarse, dull and frizzy. Focusing on how to properly care for hair will bring visual benefits. It is time to nourish, moisturise and reinforce instead of just masking the problems. Moisturising – well-moisturized hair is generally smoother, shinier and simply more beautiful. If you keep the right level of hydration, e.g. by using conditioners with moisturising ingredients or humectant masks, there is a higher possibility of hair which doesn’t get frizzy e.g. because of rain or brushing. Moisturising is the basis for hair care. Nourishing – the health of hair translates to its appearance so you can’t forget to provide it with essential ingredients e.g. vitamins, minerals (zinc, sulfate, iron, silicon) and fatty acids. Perfectly-nourished, strong and firmly-rooted hair shouldn’t turn into frizzy flyaways. It is a simple remedy for smoothing. Regenerating – it is the third action you should take if you’re bothered by extremely frizzy hair. 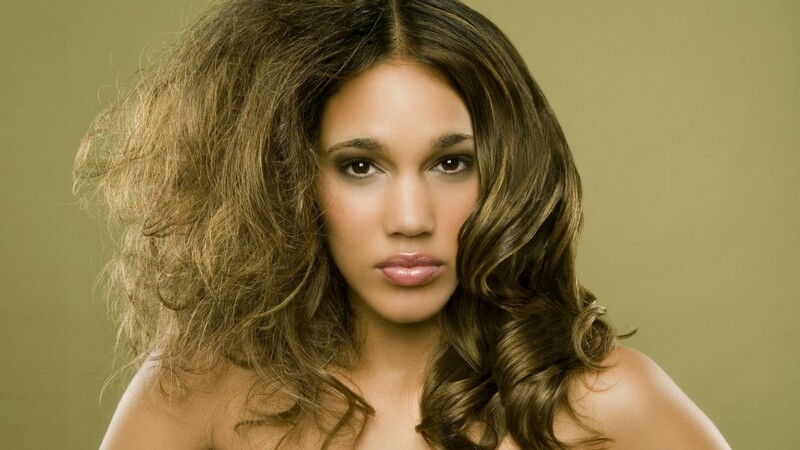 Frizz usually affects weak hair which lacks proteins and has open cuticles crying for nutrients. Systematic delivery of proteins strengthens strands and prevents flyaways; just beware of over-proteined hair. HOT TO GET SMOOTH HAIR? All of the above-mentioned activities won’t give you instant effects. To regenerate hair, restore the moisture and nourish it, you need time. The frizzy strands problem can get on your nerves until your hair becomes healthy. Even healthy hair might get frizzy on rare occasions e.g. due to the hormone imbalance, diseases, seasonal changes or the lack of some nutrients. In each of the situations, you can make your hair silky smooth using proper products. These can be natural oils or products that have been especially designed for frizzy hair. Hair Oils – hair oil treatment is the most natural option. Hair oils that correspond with your hair porosity do multiple tasks at the same time: not just deliver smoothness and prevent frizz but also indirectly moisturise, nourish and regulate processes taking place in scalp. You can apply them to dry or wet hair, rub in your scalp or add to other products. Truly lightweight and fast-absorbing oils can be used as serum for hair ends preventing splitting and frizz. Hair Smoothing Serum – you can get an express hair looks enhancement using smoothing products. A leave-in serum rules among them. Even a small amount brings shine, smoothes the hair structure, facilitates detangling and styling routine, and even makes a hairstyle longer-lasting. Silk serums are the best-sellers. Just remember that the effect is superficial and lasts just until the first hair wash.
Anti-Humidity Products – such cosmetics work in a bit different way, aiming at strengthening the hydro-lipid barrier of hair – the protective layer which protects from the loss of water inside hair. This kind of products have the form of serum or a mask, conditioner, and even a shampoo. Oils work this way, too. Used separately or as a blend of a few oils, they reinforce the natural water-lipid coat and keep the humidity frizz away. Acidic Rinses – another brilliant solution, vinegar rinses seal hair cuticles locking water in and making hair smoother – that’s what prevents frizzy strands, too. Even though no one says that a hair rinse is a smoothing product, it actually works this way. An acidic pH closes hair cuticles which opened during hair washing thus make them go back to the natural position. Strands are smoother and easier to comb.